Square-Enix announced on yesterday, via their Final Fantasy Twitter page, that Final Fantasy VI character Locke Cole will be coming to the Playstation 4 title Dissidia Final Fantasy NT as a DLC character. Locke is a Thief who uses his skills to steal and plunder from his enemies to employ powerful attacks. As one of the main characters of Final Fantasy VI, he joined a resistance group called the Returners to take the fight to the Empire. Along with the reveal were a few highly-detail screenshots of the character in his very first 3D-rendered model. 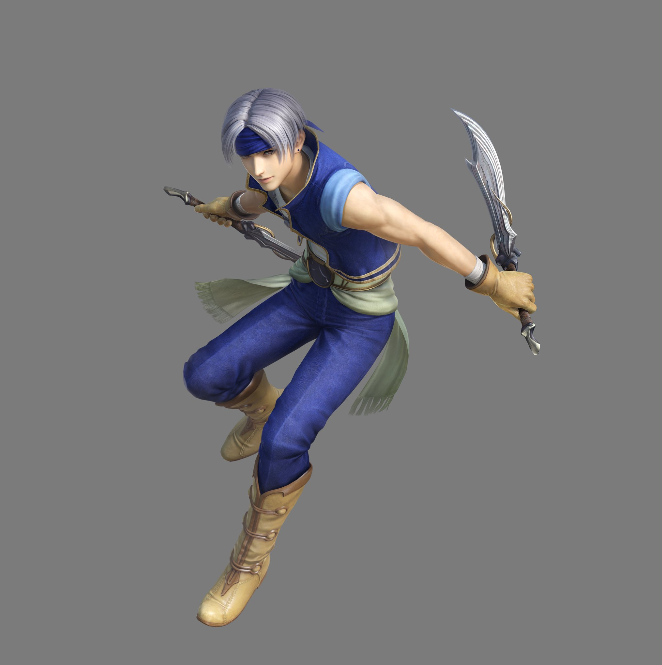 Coming after Terra and Kefka, Locke is only the third Final Fantasy VI character to have been given a full 3D model. There were a handful of CGI cutscenes in the PlayStation 1 release of Final Fantasy Anthology, which included Final Fantasy VI, that had Locke in them, but he did not have a full body rendered within them. Also teased in the tweet were what appear to be costume models. One of them is his modern look, while the other is his classic Final Fantasy VI appearance. Fans can attest that Locke has never looked better – you can check out those screenshots below. 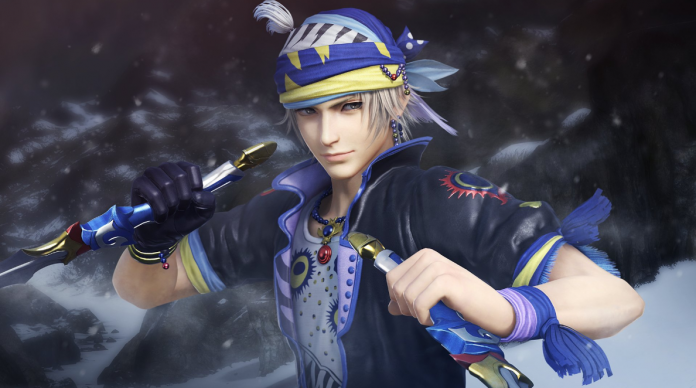 No release date was given for Locke’s appearance in Dissidia NT, but it remains something for players to look forward to. 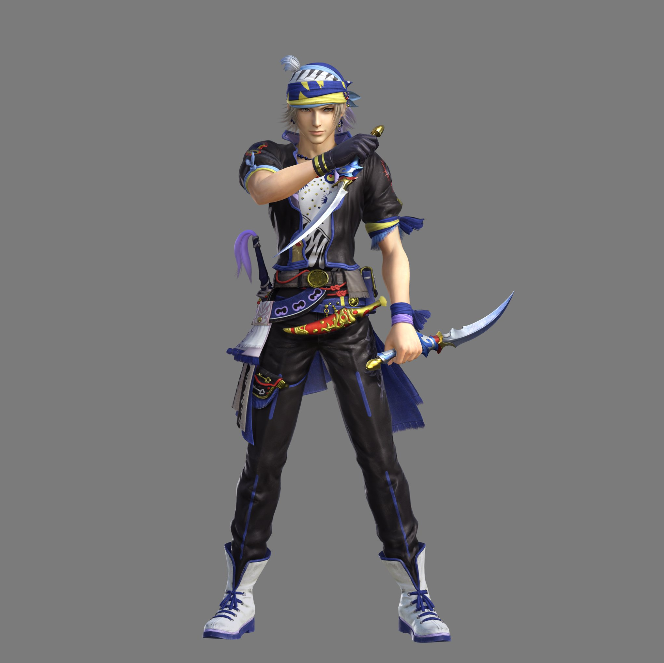 Locke is the 2nd DLC character to be announced, along with Final Fantasy XII villain Vayne Carudas Solidor. 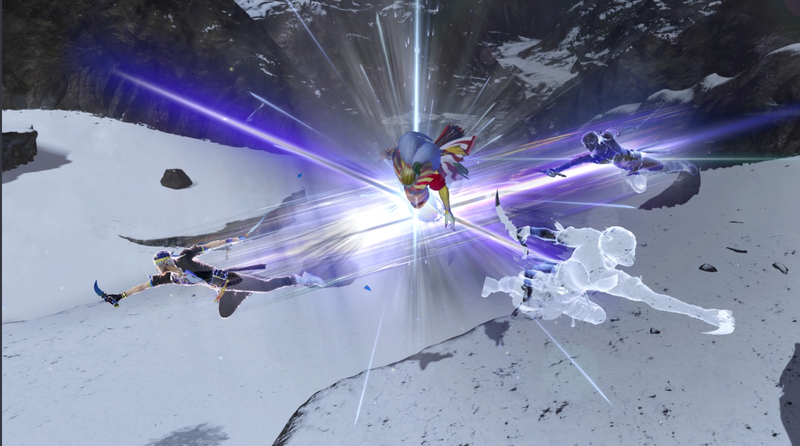 So far, with these two characters’ inclusions, Dissidia NT is shaping up to have a pretty diverse roster, which only shows signs of growing as time goes on. Other characters that fans are clamoring for to be included are Final Fantasy IX‘s Freya Crescent, Final Fantasy VI powerhouse Sabin Figaro, Final Fantasy VII marksman Vincent Valentine, Final Fantasy VI Rune Knight Celes Chere, and Final Fantasy VII bombshell Tifa Lockheart. Confirmed after Vayne and Locke are at least four more characters, so anything is certainly possible.